(a) The 11th house is 2nd from the 10th house hence it is a central point for one’s gains through the Karmas of present birth. (b) The 11th house being 6th from the 6th house is an epicenter of diseases, litigations, punishments and debts etc. hence malefic effects predominate over the beneficence. Meaning by whosoever owns 3rd, 6th, and 11th will produce sinful effects i.e. such a planet is inauspicious and trouble maker. The term Sarvagraha used include all the planets that have lordship over the said house without giving any relief to even Jupiter, Venus or Mercury as well. Note: It is very important that the above said views should not be confused with the word “Upachayas”. In this regard the benefic results pertaining to the “Upachaya” houses would apply to the planets occupying these houses and not to the lords of these houses and in most of the cases when benefics occupy these “Upachayas” give rise to so called “Vasumati yoga”. 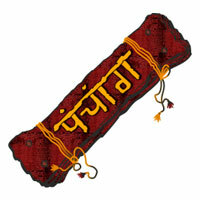 As regard the “Upachaya” lords the Sage has exempted the 10th house since it is the best angle (Kendra) in any horoscope. More so the concept of occupants of three out of four “Upachayas” viz. 3rd, 6th and 11th being auspicious stands demolished if one applies the rule as suggested by the sage. 2nd lord when associated with an favourable planet is more auspicious as compared to the 12th lord associated with the same favourable planet. 2nd lord when associated with an unfavourable planet will be more harmful as compared to the 12th lord when associated with the same unfavourable planet. 8th lord in association with a favourable planet will be more favourable as compared to the 2nd lord if associated with the same favourable planet. 8th lord will be more harmful when associated with an unfavourable planet as compared to the lord of 2nd house in case it is associated with same unfavourable planet. The Sage is highly critical and condemns the 8th house lordship of a planet while the same planet simultaneously has lordship over either of these houses viz. 3rd, 7th, or 11th. For Pisces lagna Venus while becoming the lord of 8th house has lordship over the 3rd house, for Virgo lagna it is Mars while owning 8th house becomes the lord of 3rd house and finally for Cancer lagna Saturn though owns 7th house, an angle (Kendra) but it has lordship over the 8 house also. 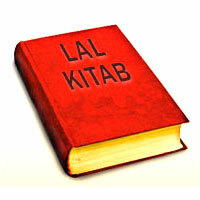 Means that the dasa of 11 th lord will be gainful (Laabho) but it will cause obstacles (Vighno) and diseases (Rogabhi) also. That the dasa of 11 th lord will be inauspicious. 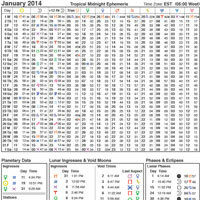 That the dasa of planet/planets occupying the 11th house will be inauspicious. That the dasa of planet/planets joining the 11th lord will be inauspicious. During the dasa of 11th lord one begets evil news (Daitya Vachchanam). His co-borns will undergo troubles (Bhraatrikashtam). His offspring (Sutarti) will fall ill. The native himself/herself be miserable, be cheated and may suffer from ear diseases (Karnarog) Thus the author is more critical about the 11th house than the 3rd or 6th house. To prove the above findings we will give few examples but restricting to the role of 11th house and its dasa. We will not divulge in various combinations, which caused disease or misery, present in the charts/horoscope since that is not the part of the article and we leave it to the readers to find those. The Native was born with sign Aries rising in ascendant and Mars the lord of lagna placed in lagna itself which means the native will be long lived and maintain a good health. The native is an MD(Ayurveda) doctor and working as senior professor in a prestigious Ayurvedic Institute in Chandigarh. Native was BAMS only at the time of joining service and aspired to do MD. He appeared in the entrance examination to do MD in the mahadasa of Jupiter, lord of a trine, but could not qualify. In June, 2000 when the native was under the mahadasa of Saturn and bhukti of Saturn the native got selected for MD which he completed in a stipulated period without any hassle. However in March 2000 native suffered a massive heart attack. Thus as discussed in the article, on the onset of Saturn’s maha dasa( 11th lord) native suffered healthwise but at the same time he got professional elevation. The native was born with Libra sign rising in ascendant. The native is very well educated and working with a multinational software company and earning a very handsome amount. His married life is very good. In the beginning of year 2005 when the native was under the mahadasa of 3rd lord Jupiter and under the bhukti of 11th lord Sun, he suffered a paralytic attack which effected the lower portion of body. Before this mishappening native got an elevation in the job with sufficient increase in his emoluments. The native was born with sign Cancer rising in ascendant. Moon, lord of lagna is very well placed in conjunction with 4th and 11th lord Venus thus forming a powerful Rajayoga. Another powerful yoga is caused by the relations of 2nd lord Sun and 5th and 10th lord Mars. 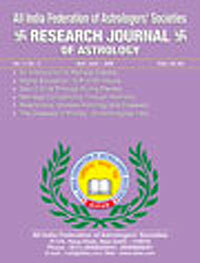 Further 9th lord Jupiter is placed in 10th house in sign Aries and lord of 10th house viz. Mars is aspecting the 9th house by its 8th aspect thus forming a relation between 9th and 10th lords giving rise to the most powerful Rajyoga. All these combinations took the native to dizzy heights. Without any technical education and with simple graduation the native is placed as an executive director with a multinational company. 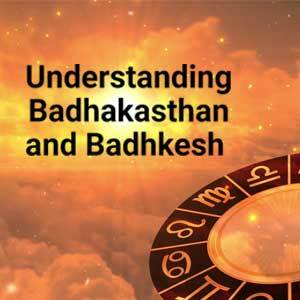 It was during the maha dasa of Saturn, 7th and 8th lord, and in the bhukti of 11th lord Venus without any previous history the native was detected of so many complications viz. diabetes, rise in serum cholesterol, rise in blood urea and serum creatinine. But during this bhukti only native got a good jump in his emoluments. The crux of the article is that the 11th lord is capable of professional rise but at the same time it gives diseases.